About Jingle Bell, Jingle BAM! The show’s story will send beloved Disney characters on a spirited yuletide adventure to get Santa back to the North Pole in time for Christmas Eve. The show will feature state-of-the-art projections, special effects, fireworks and even snow. There will also be a festive musical score that features familiar holiday tunes with an original twist. As the story goes, Christmas Day is almost here, but Jolly Old Saint Nick is gone! During the show, Guests will go on a yuletide journey to the North Pole with the elf team of Wayne and Lanny from ABC/Walt Disney Animation Studios’ animated special, “Prep & Landing” to search for a missing Santa Claus in the hopes of getting him back in time for Christmas Eve. Guests are invited to join the pair during their holiday hijinks as they encounters moments of holiday cheer. Their search culminates with an epic showdown in Halloween Town from Tim Burton’s The Nightmare Before Christmas, as Wayne and Lanny are forced to rescue Santa—and save Christmas in the process! Jingle Bell, Jingle BAM! will feature memorable holiday moments from Disney films including Mickey’s Christmas Carol, Beauty and the Beast, Pluto’s Christmas Tree, and Bambi. This show will end with a special message from Santa Claus himself! As a reminder, last year was the final year for The Osborne Family Spectacle of Dancing Lights. Jingle Bell, Jingle BAM! is the main holiday offering for Disney’s Hollywood Studios. In addition, Guests should make sure to experience the new Sunset Seasons Greetings show that takes place on the Tower of Terror on Sunset Boulevard. More holiday cheer is in store for Guests who book a the all-new Jingle Bell, Jingle BAM! Dessert Party. The special dining event will be offered nightly. In the courtyard of The Chinese Theater, guests will enjoy multiple food stations, which will feature holiday-inspired savory delights, sweet tidings such as the delicious Santa Mickey chocolate cupcake with peppermint bark, and more—including a nitrogen dessert station. Beer, wine and specialty cocktails will be available for guests over 21. Specialty non-alcoholic beverages will also be available, and of course, there will be hot cocoa! In addition, a very special character will also be on hand to meet with dessert party guests, before you are escorted to the reserved viewing area. Each dessert party Guest will get a pair of 3D HoloSpex® glasses to use while watching the show. The glasses create spectacular holographic illusions of gingerbread men, candy canes, snowflakes and ornaments on any bright point of light. 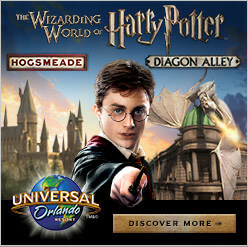 The cost is $79 per adult ages 10 and up and $45 for children ages 3-9 from November 6 – December 22 and January 2-6. 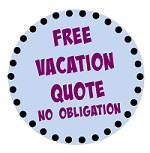 From December 23 – January 1, the cost will be $89 per adult and $49 per child (tax and gratuity included.) The price includes all taxes and gratuities. 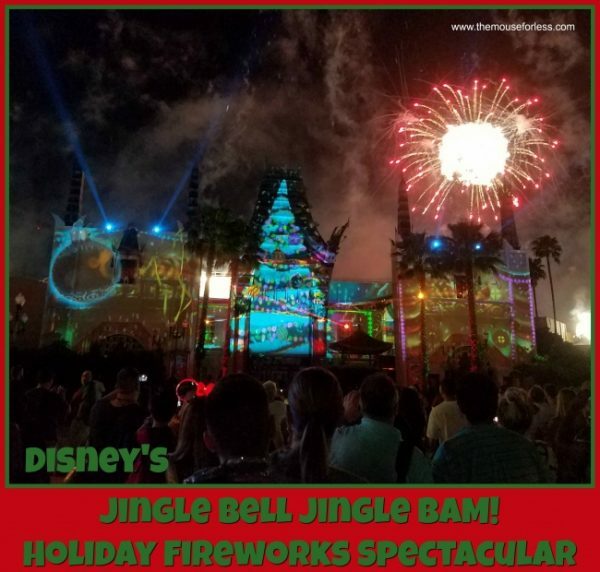 To book the Jingle Bell, Jingle BAM! Desert Party, Guests can call 407-WDW-DINE. In order for the Jingle Bell, Jingle BAM! nighttime spectacular to occur during the holiday season, Star Wars: A Galactic Spectacular will be taking a temporary hiatus during the holidays. Prior to Jingle Bell, Jingle BAM! Guests will be able to catch the new Disney Movie Magic pre-show.